Moments from the motorway in Albany on Auckland‘s North Shore lies a hidden retreat, enveloped in thick green forest. Here at Kawai Purapura, New Zealand’s third International Yoga Festival took place, bringing a host of guest speakers and yoga leaders from around the world to inspire the yoga-curious and converts over a full weekend of workshops. 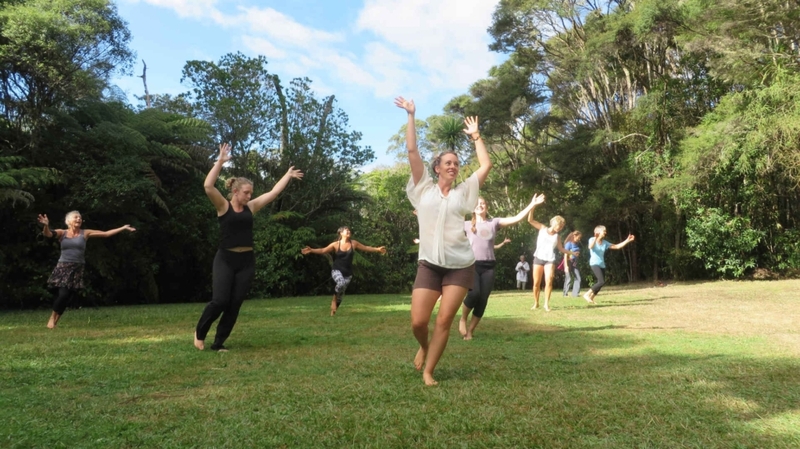 When I arrived, I made my way along the winding fairytale-like footpaths and found myself in a glade where Sally Cook was leading a morning Nia class in the sunshine. This is dance with a difference: it’s all about letting go of fear, stress, awkwardness and any worry that we’re not natural dancers. Sally believes we all are, and it is her calling to help us find our innate co-ordination and animal-like grace. 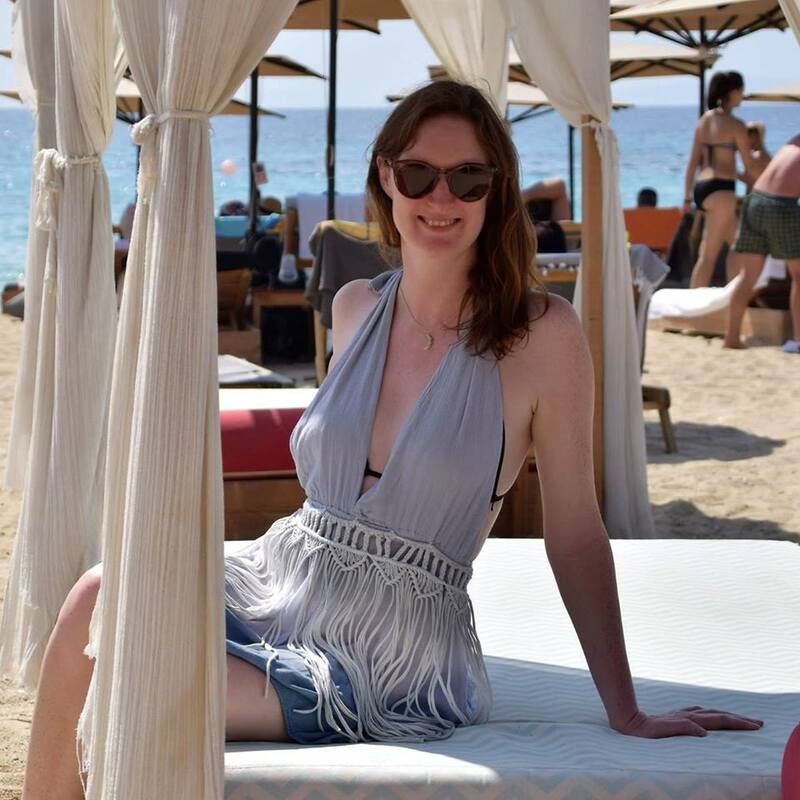 As the group moved to the music, under Sally’s guidance, I could feel a sense of joy as moods were lifted and day-to-day concerns of the mind were replaced with ease and simplicity. It’s funny how dancing can do this, taking you out of yourself and into a peaceful, happy space. Next, I made my way to the Prema Lounge where I caught the tail-end of the Bhakti Yoga session. A friendly group of adults and children were enjoying some heart-lifting Hare Krishna kirtan. Then, after some tasty vegetarian food served at the nearby café, it was time to sit and listen to a talk by Dr Nicky Hamid, a professor and practising psychologist for over 40 years, who believes that Eastern and Western traditions, yoga and science, are inextricably linked. That link, what binds us and all elements of the universe together, is love. 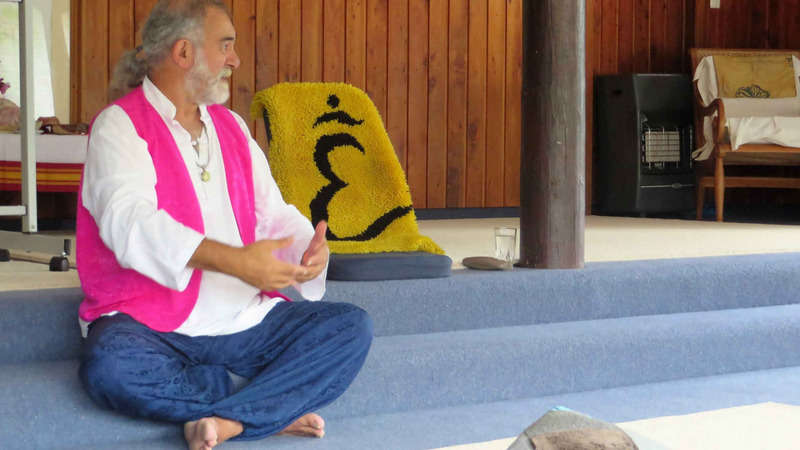 It was refreshing to hear his point of view and he led us through a guided meditation to connect us closer with our hearts. 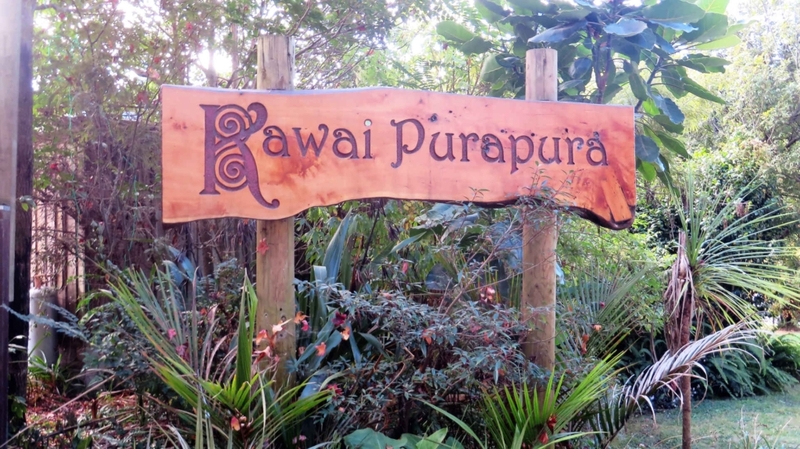 I wandered around the site of Kawai Purapura and soaked up the music, nature and inclusive atmosphere. It felt like a million miles away from the city, despite just being a short bus ride from central Auckland. 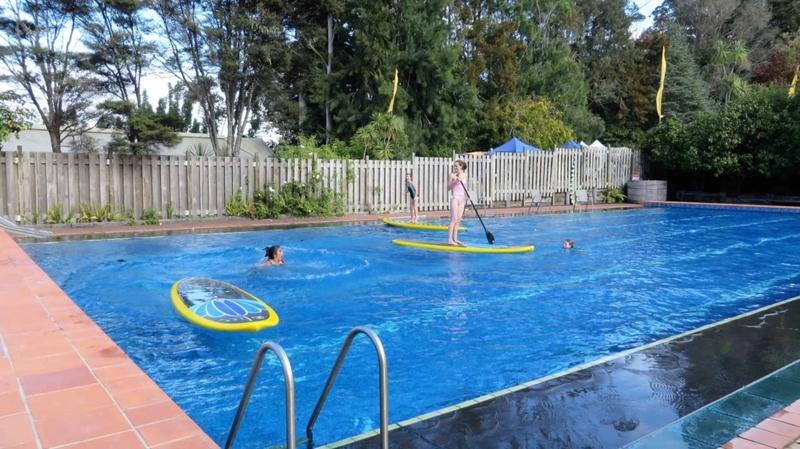 There were stalls and even a swimming pool where you could try your hand at paddleboard yoga. Then, I heard the beautiful voice of a woman singing and followed it to The Plains, the festival’s heart, with more stalls selling clothes, massages and food options. The woman was performing her songs, accompanied by her guitar, to a gathering of people relaxing on the grass. 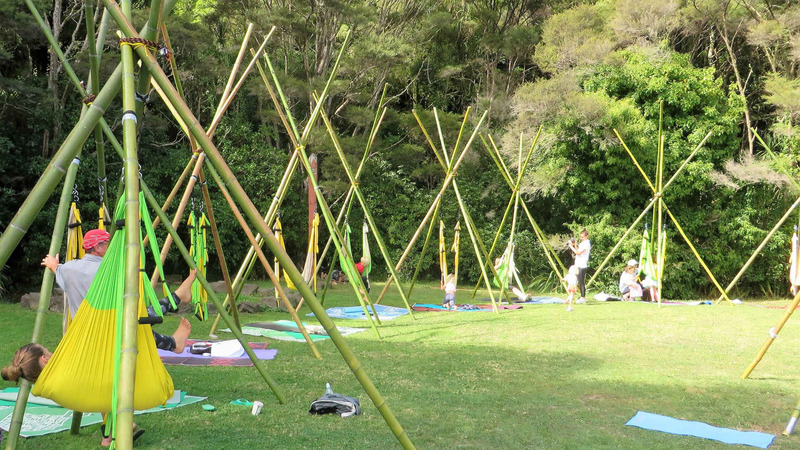 I was hoping to take part in Connie Causa’s aerial yoga class taking part on The Plains, but sadly it wasn’t to be – this workshop was already over-subscribed due to its popularity. 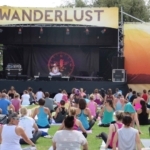 So in the end I attended a yoga festival without setting foot on a yoga mat or performing any postures, which I think sums up this festival well. 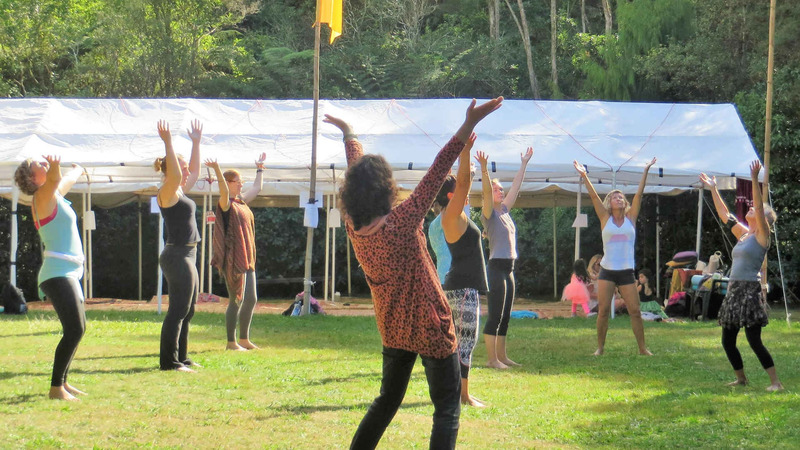 It brings a lot of like-minded and inspiring people together to share yoga in all its forms, in a beautiful setting, offering you the chance to escape into this retreat and learn more about your own practice. Now, find out all the most wonderful yoga places around the world for when you’re travelling, here.